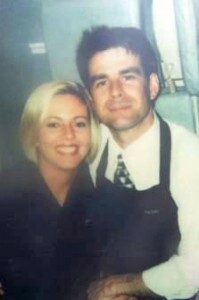 Amy King and Michael Tarrou, United Airlines flight attendants, were on Flight 175 when it crashed into the south tower. Working on the same flight was not uncommon: Ms. King and Mr. Tarrou had been dating for more than two years. They had recently started living together in Stafford Springs, Conn. The youngest of three sisters, Ms. King, 29, grew up in a small town near Jamestown, N.Y. In high school, she ran track and cross-country. She liked to paint and was interested in clothing design. She started working for United in Chicago in 1993. During layovers in the Bay Area, Mr. Divine said, he and Mr. Tarrou would spend time in the recording studio. So far as anyone knows, Mr. Tarrou never asked Ms. King to marry him. But no one doubts that would have happened. “They were engaged, in their own way,” said Dr. James Tarrou, Michael’s father. “We were encouraging him, because she was a remarkable person.